Looking back, we get a false sense of inevitability about the success of the early United States. Looking forward from 1781, there was less optimism about its prospects and many historians think the early U.S. nearly came unraveled. The Revolution was harder than most people today realize. Soldiering was dangerous, thankless and painful, civilians suffered economically because of the long blockade, and politicians put their lives on the line organizing the revolt. Even after the revolt succeeded, a group of officers unhappy with back pay and lack of pension threatened a coup against Continental Congress called the Newburgh Conspiracy that Washington defused with a pleaful speech. Despite all that, rebelling against a government and even overcoming it is far less complicated than creating a better one. In 1776, Thomas Paine had suggested a republic in Common Sense but Thomas Jefferson’s Declaration of Independence provided no blueprint for a new government. After the fighting, the hard work started: building a country from scratch. It wasn’t really from scratch, in their case, because the colonies had a long tradition of local self-rule behind them, but they nonetheless faced a challenge with no self-sufficient economy, little history of unity amongst themselves, and no standing military to speak of. In front lay the challenge of creating the world’s first major republic since ancient times. Not only do most revolutions fail, there was little historical precedent for representative governments. The Founders sensed that fragility, too, because they were expert amateur historians. Greek Athenians invented a pure form of democracy in the 6th century BCE, whereby citizens voted directly on issues. But those voters made mistakes, getting the city-state into ill-advised wars and killing religious skeptics like Socrates. Classical Rome had voting too, and Roman politician Quintus Tullius Cicero even published a cynical guide in 64 BCE on how to manipulate voters and smear opponents unfairly. Still, Romans provided the most durable example, maintaining a republic for around 500 years that reverted to a dictatorship in the 1st century BCE as they expanded into a bigger empire. America emulated Classical Rome in its republican government, reliance on slavery, dedication to engineering, and freedoms of divorce and speech. As we’ll see below, America expanded in a way similar to the Roman Empire and even measured things the same way. 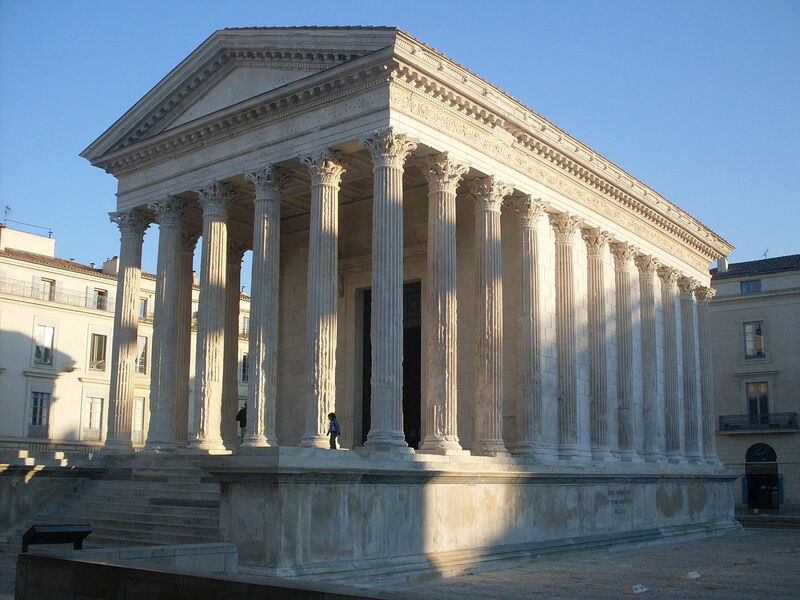 It’s no coincidence that the U.S. modeled its most important buildings and monuments in the Classical style. In some respects, even the modern United States is more like ancient Rome than contemporary authoritarian or smaller states or many countries that have come and gone in between. Still, the fact that Rome’s expansion coincided with its reversion to dictatorship couldn’t have filled America’s founders with confidence. More recent smaller republics existed in medieval Switzerland (confederacies protected by the Alps from the Austrian monarchy), Genoa and Florence (Italy), United Provinces (Netherlands), and some German and Russian city-states (mercantile republics) where wealthy merchants had managed to wrest power away from the landed nobilities traditionally tied to monarchies. Large-scale republics weren’t a part of Europe’s political landscape, though. The English Civil War created a republic of sorts during the Interregnum of the 1650s but they restored their monarchy after just eleven years. 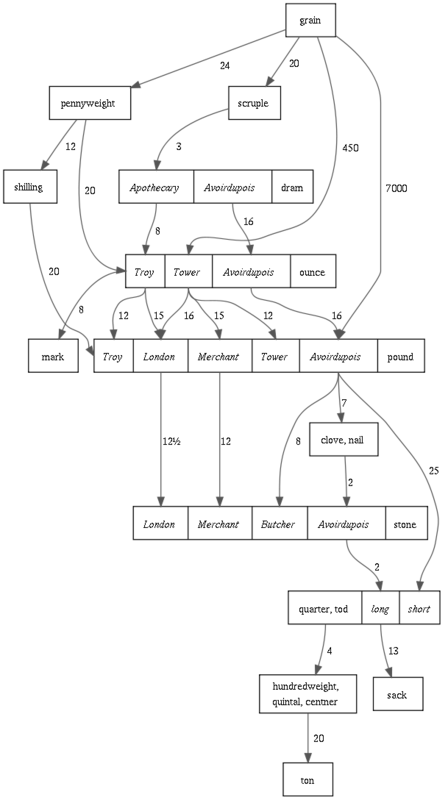 Still, England had a long heritage of its people (at least landowners) thinking that their government owed them something and had gradually evolved a mixed system where the Crown shared power with Parliament and ministers. 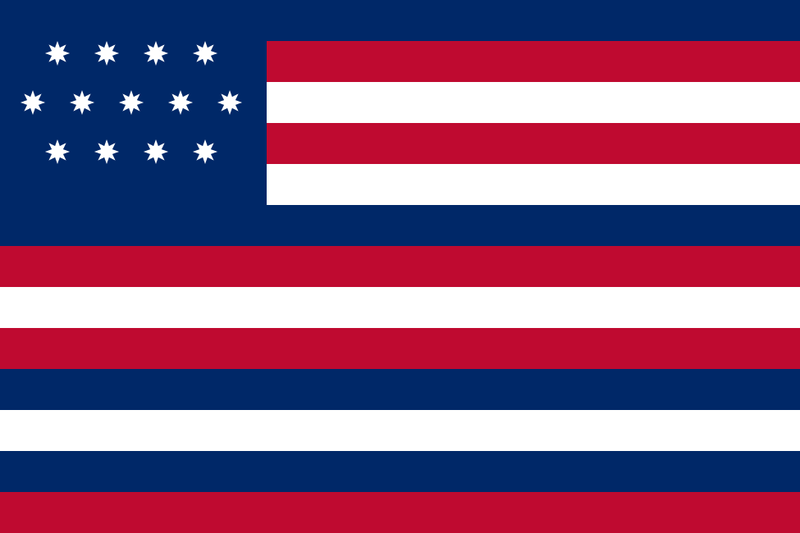 Writing from France in 1778, ambassadors Ben Franklin and John Adams wrote to Naples’ ambassador: “It is with pleasure that we acquaint your excellency that the flag of the United States of America consists of thirteen stripes, alternately red, white, and blue; a small square in the upper angle, next [to] the flagstaff [pole], is a blue field, with thirteen white stars, denoting a new constellation.” Yet, without a picture, people interpreted that description in different ways. John Paul Jones, for instance, flew the ensign on the left over his ships during the war. 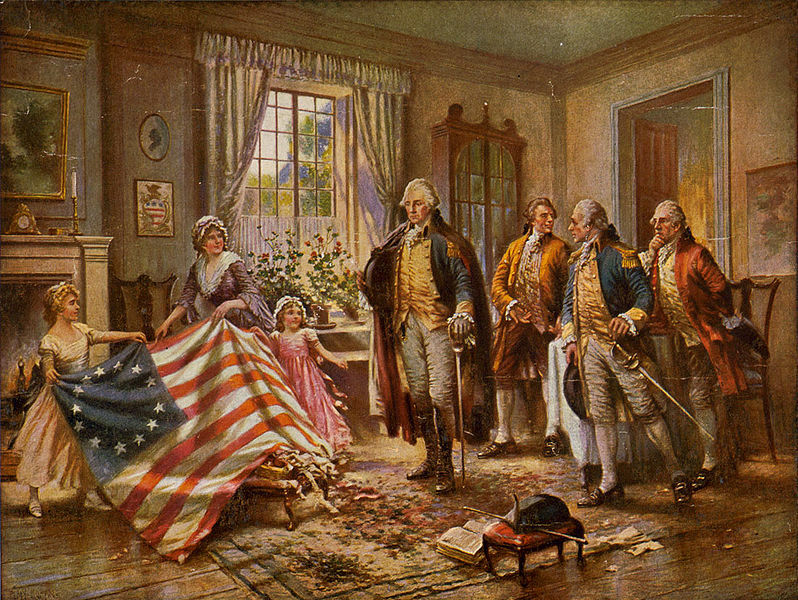 Jones’ streamer is truer to Adams’ and Franklin’s design than the one Betsy Ross purportedly sewed, though neither seemed to read the directions carefully. Americans tried twice to come up with a successful formula for a government uniting states in a union. 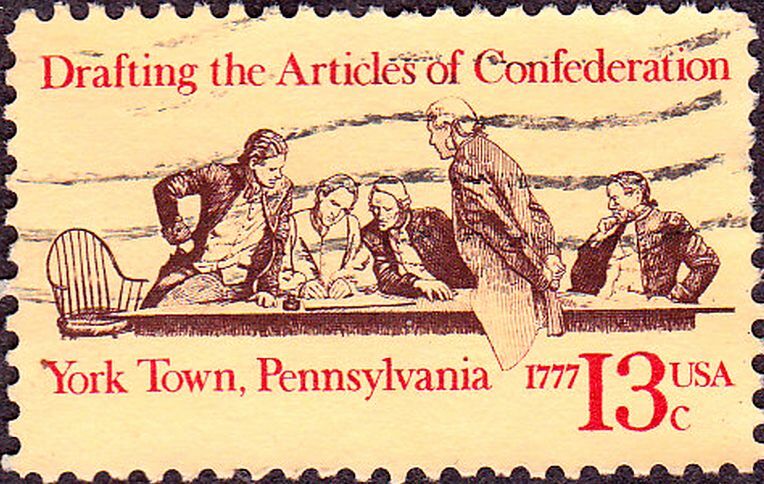 The first, the Articles of Confederation, were drawn up during the Revolutionary War and lasted until 1788. 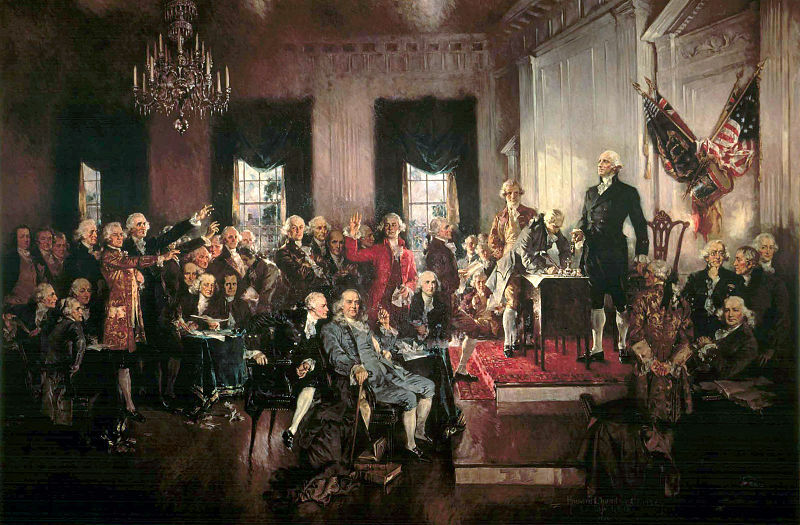 The second, the Constitution, was drawn up in 1787, ratified in 1788 and still used today. While the United States is a relatively young country, it runs under the oldest major government on Earth (the English/British House of Commons, specifically, has met continuously since 1689, and Iceland’s Althing since 930 CE). Before looking at problems with the Articles that led the Founders to abandon them, it’s worth looking at what worked well under the Congress of the Confederation, or Confederation Congress. First, and easiest to overlook, is the very fact that the Rebels (with help from France) won the war with limited resources and domestic support against a formidable military. Second, it might have been too jarring to go from separate colonies to unified states all at once. 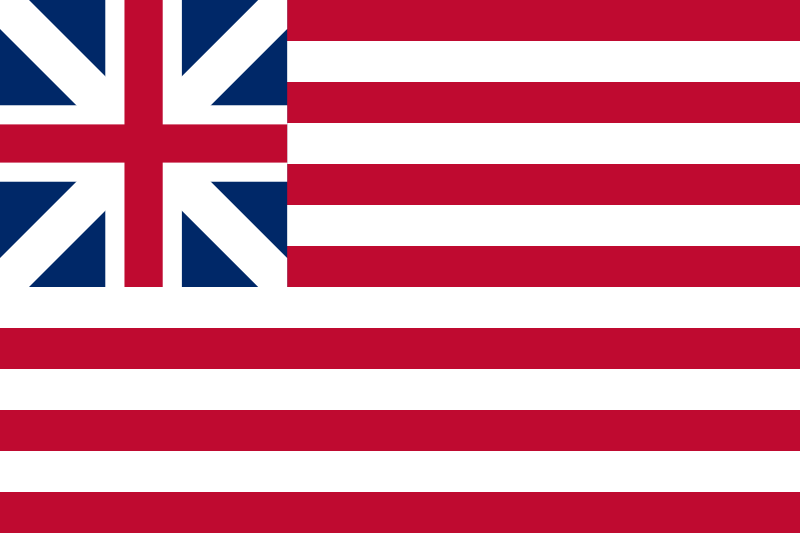 The colonies had only unified just prior to the war, mainly for military expediency. Think of what’s going on in Europe in our lifetimes, if you pardon an imperfect analogy. Hoping to avoid future conflict, Europeans banded together after World War II with the support of British Prime Minister Winston Churchill to form the European Community (1957) then European Union (EU, 1992- ) — allowing goods, workers, people, and money to flow freely across national borders, similar to how Americans can move freely between states. After incongruous currencies caused trade imbalances within the original community, eleven countries signed the 1992 Maastricht Treaty creating the EU, a European Parliament, and a common currency: the Euro. Yet, the combination of a monetary union (with one set interest rate) without a fiscal union, whereby a central government would set the budget, now plagues the continent as the more productive, exporting North (i.e. Germany) bickers with the poorer, more free-spending South (e.g. Greece, Portugal, and Italy). Moreover, disagreements over how to deal with immigrant refugees from the Middle East and North Africa heighten tensions between the EU and member countries, contributing to Great Britain’s “Brexit” in 2016. The European Union has open borders, so terrorists can move freely between countries once they’re in, but had no coordinated anti-terrorism agency prior to the ECTC in 2016. While the FBI and CIA didn’t talk to each other as well as they should have prior to 9/11, those agencies and the NSA can at least talk freely across borders between America’s fifty states. It remains to be seen whether Europe will ever unify, but it won’t transition into a country quickly, if it ever does at all. That’s a bit of a digression, but Europe reminds us of the non-inevitability of America’s example. Like everything in history, nothing as far we know was “fated” to happen ahead of time (see Rear Defogger #26 on teleological thinking). Things can always go in multiple directions and the desirability of one direction over another is usually a matter of debate and opinion at the time, often decided by force and happenstance, and then fed to school children and citizens later by the victors as divinely-ordained in a patriotic catechism. Understanding that only deepens one’s appreciation for history and, in this case, encourages us to look fresh at the pros and cons of building larger countries out of smaller units. The Anti-Federalists who liked things the way they were under the Articles of Confederation, favoring state power and opposing a national government, weren’t irrational reactionaries. But they lost out as problems and threats created a need for more stability. The Articles of Confederation served as a segue, or transition, from union to real nation between 1776 and 1787. With the revised Constitution, the Founders gave the national tier control over interstate trade with the Commerce Clause to prevent states from passing tariffs and barriers against one another. They could no longer coin or print their own money, void each others’ debts or sign separate treaties with European countries. Economic historian Fernand Braudel chronicled how, not only did the British profit by losing the Revolutionary War — reducing overhead administrative and military costs while maintaining trade — they also crippled the early American economy with high protective tariffs that Americans couldn’t retaliate against because they weren’t unified financially under the Articles of Confederation. Take, for example, a key issue like hydraulic fracturing, or fracking — the type of drilling that involves horizontally injecting chemicals, sand, and water into shale rock to capture hydrocarbons like natural gas and oil. Fracking has enormous advantages and drawbacks, promising the U.S. boundless supplies of cheap energy (i.e. economic growth) and decreasing reliance on the Middle East, while potentially polluting air and water aquifers, using a lot of already scarce fresh water, triggering earthquakes in prone areas (from underground wastewater injection), and accelerating climate change through methane leaks if done carelessly. States have compromised in different ways, with some banning it altogether (e.g. California and New York) and some saying “drill baby, drill.” Colorado brought drillers and environmentalists together to draw up sensible regulations. If the issue was only before the national government, who knows what would happen, but our system allows states to study each other to see what’s working. Eventually, maybe the national government can adopt a successful state model like Colorado’s through the EPA (or conversely, the national government could also override certain states’ smart policy with a uniformly bad policy). It’s interesting to think about the basic structure of shared power between the states and national government, especially since polls show that ¼ of Americans favor their state seceding. The federal setup only seems obvious in retrospect, whereas at the founding they easily could’ve remained as thirteen loosely affiliated states or abolished the states except as administrative districts and united unambiguously as one nation. 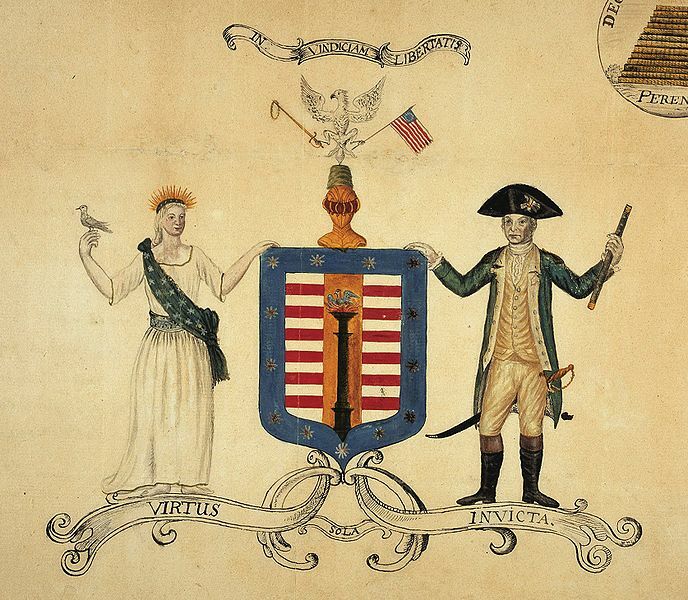 America’s motto of E Pluribus Unum (out of many, one), captured in the Capital Rotunda painting below and on American currency, could’ve been just Pluribus or Unum. 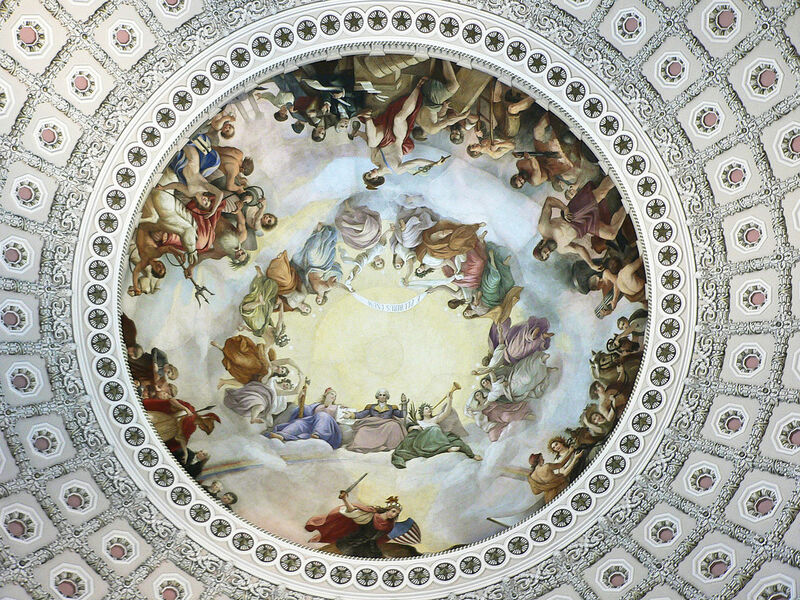 Instead, the thirteen angels in Constantino’s Brumidi’s Apotheosis of Washington (1865) retain their identities but form an interlocking circle. Third among accomplishments under the Confederation Congress, the country survived the economic turbulence of its first decade, when there was no strong national currency as the states reeled under war debt. The phrase ain’t worth a continental originated in the 1780s when counterfeiting was common, with the best engravers working for criminals since they paid more than the government. The country itself was flat broke, with Congress indebted to the states and foreign countries. The economy had to be cleaned up and re-organized down the road (more next chapter) but, in the meantime, at least the chaos didn’t take down the fledgling country. Dating back to Roman and Anglo-Saxon history, these proportions have some folksy charm but lack common standards and baselines. Only an expert could take you from a grain to a ton (left) and few among us could gauge the difference between a Gunter’s chain and a furlong (above). 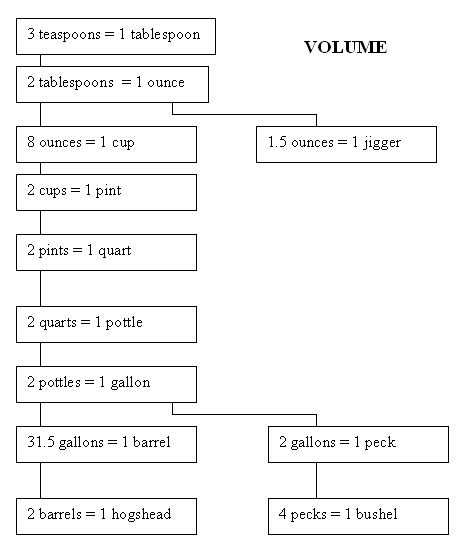 Volume isn’t a total mess, though it’s not readily apparent how many jiggers equal a hogshead (below). In an age before accurate scales, it’s a wonder more barterers didn’t strangle each other. That might partially explain why, as a matter of custom, deals and lawsuits were negotiated, sealed, and settled over a pottle or two of liquor. 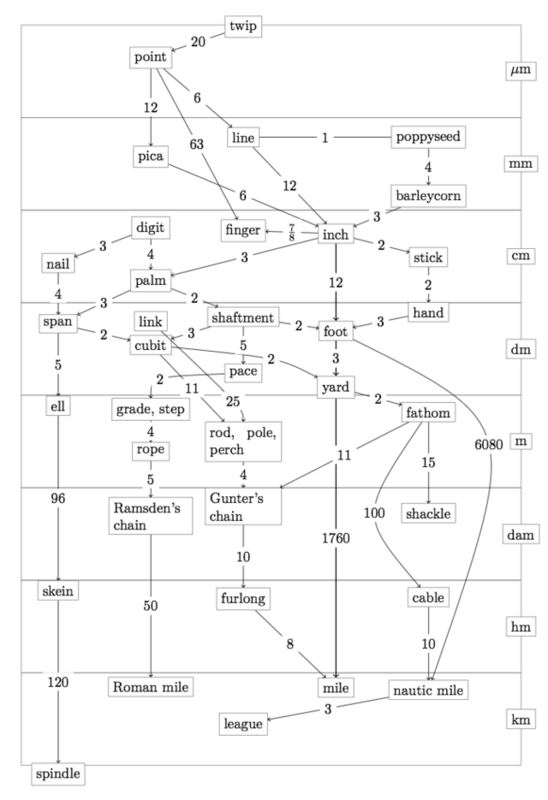 The military adopted the Metric System for some precision measurements in 1949 and, after the Metric Conversion Act (1975), Americans adopted metric in science, some industry (e.g. auto fasteners), and track & field (1980s). The rest of us remain stuck in a classic case of path dependence, whereby it’s impractical and inefficient in the short run to convert to what would be a more efficient system in the long run (the same is true of the purposely slow QWERTY keyboard layout). An auto mechanic, for instance, might have an easier time of it living in Europe or Asia and just using metric; second-best would be to live in America before 1975 and just use the English system; third-best would be to live in America post-1980s and have to inconveniently transition from inches to millimeters. In 1998, NASA lost its Mars Climate Orbiter because of a mix-up between metric and English (newton-seconds [N s] vs. pound-seconds [lbf s]). Thankfully, Thomas Jefferson established U.S. currency in metric units of ten from the beginning. 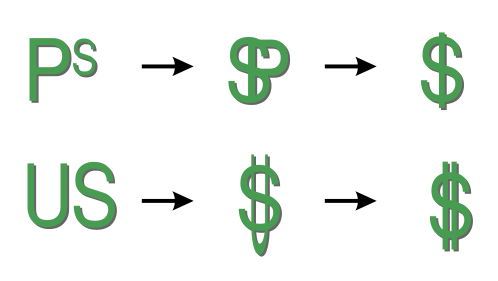 The early dollars, pegged to British currency, were similar in size and composition to Spanish dollars, and Spanish dollars and Mexican pesos were legal tender in the U.S. until 1857. 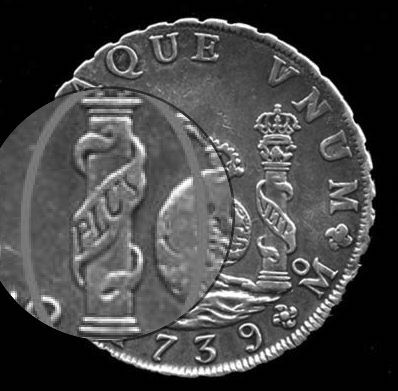 As we saw in Chapter 3, one theory is that the pesos’ scroll-wrapped columns (the Pillars of Hercules on the Spanish coat-of-arms) gave rise to the famous $ sign. Another theory is that it grew out of shorthand for U.S. For those that cared to keep time — and within half a century nearly everyone would need to — they retained the Babylonian sexagesimal (base 60) system of sixty seconds in a minute, sixty minutes in an hour and 360 degrees in a circle. As a fifth accomplishment, the Confederation Congress settled disputes between the states over western lands, which is another problem easy to overlook in hindsight. Some of the original colonial charters granted territory “from sea to sea,” one of the reasons the colonists resented the British Proclamation Line along the Appalachians. In the 1760s, Connecticut and Virginia invaded parts of Pennsylvania. By the 1780s, maps were starting to show a series of difficult-to-manage horizontal bands and more states were claiming areas above and below their respective stripes. Virginia, Massachusetts, and Connecticut claimed the Old Northwest Territory in the Great Lakes region. Smaller units also threatened to break away from existing states. The rebel state of Franklin (aka Frankland, or the Free Republic of Franklin, now in Tennessee) seceded from North Carolina. America’s early history is a reminder that there was nothing given about the states’ borders; each had to be negotiated or even fought over. The Confederation Congress convinced the states to do the reasonable thing and give up their western claims. Consequently, they not only won the Revolutionary War, they arguably prevented civil war or at least serious civil conflict. However, they accidentally sowed the seeds for civil war down the road by regionalizing slavery. 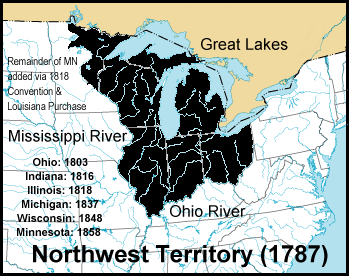 They banned slavery in the Northwest Territories but failed to in new territories south of the Ohio River, thus creating a north-south divide over slavery when the original northeastern states gradually abolished slavery after the Revolution. While we remember Thomas Jefferson most as a slave-owner and defender of slavery later in life, he wrote the anti-slavery provision into the Northwest Ordinance, making him an important early abolitionist. The decline of slavery in the North after the Revolution and Jefferson’s prohibition against it in the Old Northwest set the stage for the Union’s abolition of slavery during the Civil War. 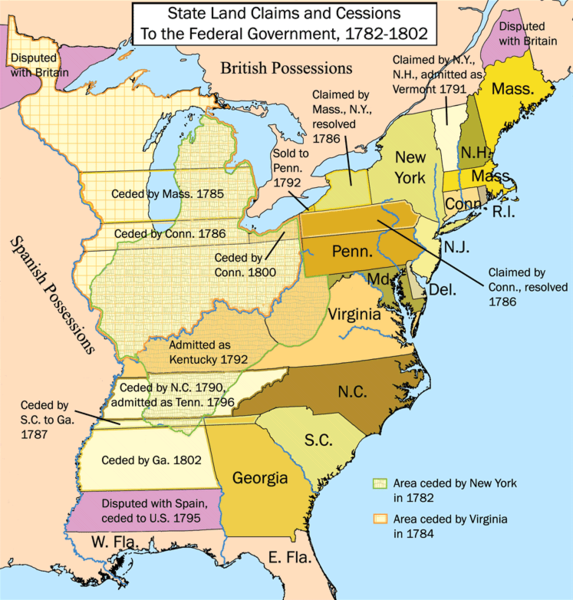 Jefferson also set up a procedure in the Northwest Ordinance of 1784-87 whereby the new western lands could become territories after attaining a population of 60k, then draft a state constitution in line with national constitutional principles and apply for statehood. These new states would come in as equal partners with the old states. Instead of adopting the British model of growing subordinate colonies – the system the colonies had chafed under – the U.S. adopted the Roman model of growing into contiguous areas, with new areas enjoying equal status. The first exceptions to the contiguity principle were Alaska and Hawaii but they too came in as equal states in the 1950s. The first exceptions to the equality principle were territories gained in the Spanish-American War of 1898, including Puerto Rico and Guam. Jefferson’s Land Ordinance of 1785 dictated how the territories would be further subdivided down into square mile sections and acres. The Ordinance is responsible for the familiar patchwork pattern you can see flying over flat farming areas today. Overall, though, the Articles didn’t bind the country together tightly enough. Its drafters, including John Dickinson most influentially, took Thomas Paine’s advice of unifying the states but keeping most of the power at the state level. The national government had no significant executive branch, national court or significant congress, and nothing could be done without nine of the thirteen states agreeing to it. There was a president of Congress; John Hancock, Samuel Huntington and John Hanson of Maryland were technically the first American presidents, not George Washington, and Washington always politely referred to Hanson as the first president since he was the first elected and first to serve a full term. But these men just presided over Congress and didn’t have much power. The states also printed their own money and negotiated their own treaties with foreign countries. The U.S., in short, was heading toward an arrangement similar to the modern European Union, where an umbrella serves some purposes but doesn’t constitute a true country that citizens identify with. People identified mainly with their states and, even years later, when Jefferson said he “loved his country” he meant Virginia not the U.S. The same held true of Confederate General Robert E. Lee two generations later. While somewhat torn over allegiances in the Civil War, he ultimately chose to fight for his “country” of Virginia. Another overriding weakness was Confederate Congress’s inability to tax. Without taxes, there was no military and, without a military, the U.S. had no real control over its own civilians (as we’ll see below) or diplomatic leverage abroad. They maintained a one-regiment army between 1784 and 1789, but no sizable navy or marines. America’s best sailor, the forenamed John Paul Jones, signed on with Catherine the Great’s Russia as a rear admiral. Power was mainly in the hands of state militias. 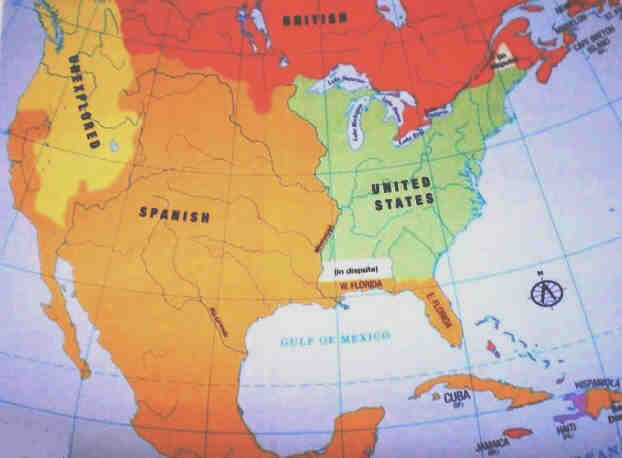 Spain threatened from the South and Britain never bothered leaving their forts on the western frontier after the war, per the 1783 Treaty of Paris, because they knew the U.S. couldn’t force them to. Spanish Louisiana and British Canada also tried to lure American settlers with cheap land, favorable trade terms, and low taxes. Pirates didn’t recognize the U.S. flag and plundered merchant ships at will once they figured out the country had no significant navy. There were also problems under the Articles of Confederation controlling civilians. Disgruntled war veterans from Massachusetts, led by Captain Daniel Shays, seized muskets and gunpowder at the state arsenal and marched east to appeal to the state government. Their goal wasn’t so much to kill people as to use the guns to get their point across. They opposed rising taxes, a requirement that they pay for goods in hard currency rather than barter, and high farm loan payments with usurious interest rates. They wanted transparency among political leaders in league with financiers and prosecution of corrupt officials. Aside from not being paid well to fight, many veterans never got their promised land after the war or the IOU notes (bonds) they got instead became nearly worthless. Or, at least they thought they had. After many sold their bonds to speculators, the government decided to make good on them at full face value and, adding insult to injury, they had to raise taxes on regular people like the veterans to pay off the bonds to the speculators who bought them cheap from veterans. The veterans/farmers’ frustration was understandable, to say the least. Shays received nothing for all his years of service and then returned home to find his farm getting foreclosed. That’s the thanks he got for helping to launch the United States. Also, monetary deflation increased the real value of farmers’ loan payments. Men like Shays wanted titles to be held by the farmers who were actually improving the land, not landlords or speculators. In the bankers’ defense, farmers had taken out loans they were forfeiting on and the bankers (who didn’t have anything to do with their low wartime pay) couldn’t just stand by and have their money stolen from them. While the lower house of Massachusetts’ legislature sided with the rebels, the upper house sided with the farmers’ creditors. There were several small-scale skirmishes as the rebels tried to close down state courthouses and seize arms. Massachusetts raised their own militia from urban servants and arrested the rebels (two were hanged) but moneyed interests still found the whole episode unsettling. 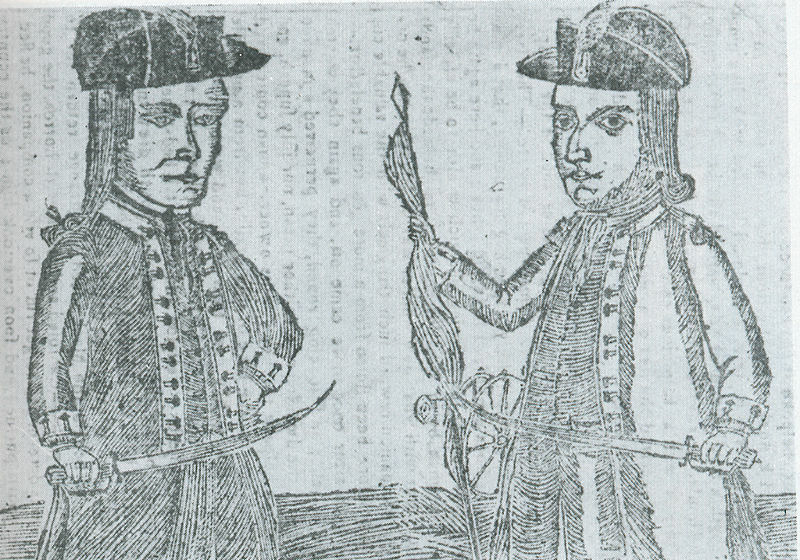 Shays’ Rebellion raised fears in other states and, at one point, troops even threatened the Confederation Congress in Philadelphia. It also echoed an earlier uprising in the Carolinas before the Revolution called the Regulator War, a drought and debt-fueled revolt of small farmers and tenants against corrupt officials and wealthy landholders. Even before Shays’ Rebellion, a consensus was forming among the powerful that class war might only be averted with a strong, central government. They weren’t talking about arguments over whether the wealthy should pay 36% or 39% of their income toward taxes, the way we are today when we throw the term class warfare around; they were talking about class warfare of the sort that happened in Shays’ Rebellion, with guns and hanged rebels. 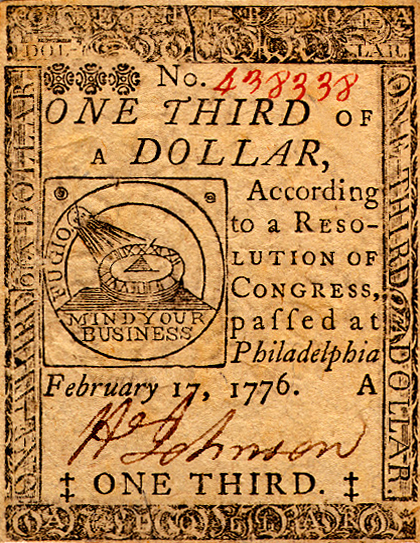 The uprising underscored, for one, the necessity of establishing a more dependable and stable national currency. European traders skeptical of early state currencies were demanding gold and American merchants on the coast were, in turn, asking backcountry farmers for gold they didn’t have access to. High inflation followed by steep deflation whipsawed the young country’s fragile economy, leading to predictable conflict between lenders and borrowers. Inflation victimized eastern bankers (lenders) who lent to farmers but got less back and deflation victimized western farmers (borrowers) who had to repay more. In short, someone from within or without inevitably would have overrun the U.S. if they hadn’t united behind a stronger central government. 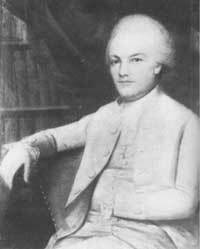 At a 1786 meeting in Annapolis, Maryland, five of the biggest states decided to hold a convention the following year in Philadelphia to revise the Articles of Confederation, plan canals that would improve commerce by connecting the eastern seaboard to the growing interior and, most of all, restore enough law and order to prevent uprisings like Shay’s Rebellion. George Washington was one leader displeased with Shay’s Rebellion’s broader implications and he backed the idea of a new government. 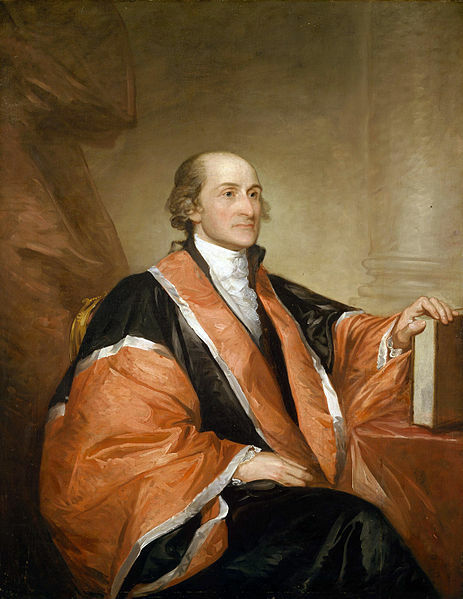 Washington’s backing was essential in convincing a sizable minority of the need for a shakeup, and he presided over the Constitutional Convention the following Spring, lending it credibility. That winter, leaders studied what was working in the various state constitutions and what was not. New Hampshire, for instance, put too much power in the peoples’ hands, with delegates from every town and village participating in state government. Two states, Pennsylvania and Georgia, took the inspiring language of the Revolution too far and spread the vote to regular white men — ones that didn’t own substantial property. New Jersey forgot to forbid women from voting (oops). Pennsylvania’s unicameral (one-house) legislature eliminated the upper house and the governor, prompting John Adams to harrumph that the state was “so democratical that it must produce confusion and every evil work” (from James 3:16 KJV). Regular people threatened the wealthy because of their potential to tax or pass crazy laws to forgive all debts or force people to accept undependable state currencies. When it comes to money, the rich can be exploitive and the poor can be misguided, not realizing that you can’t just print more money and make everyone richer. Since most people are debtors, majorities would forgive debts but then no one would lend again, grinding state economies to a halt. 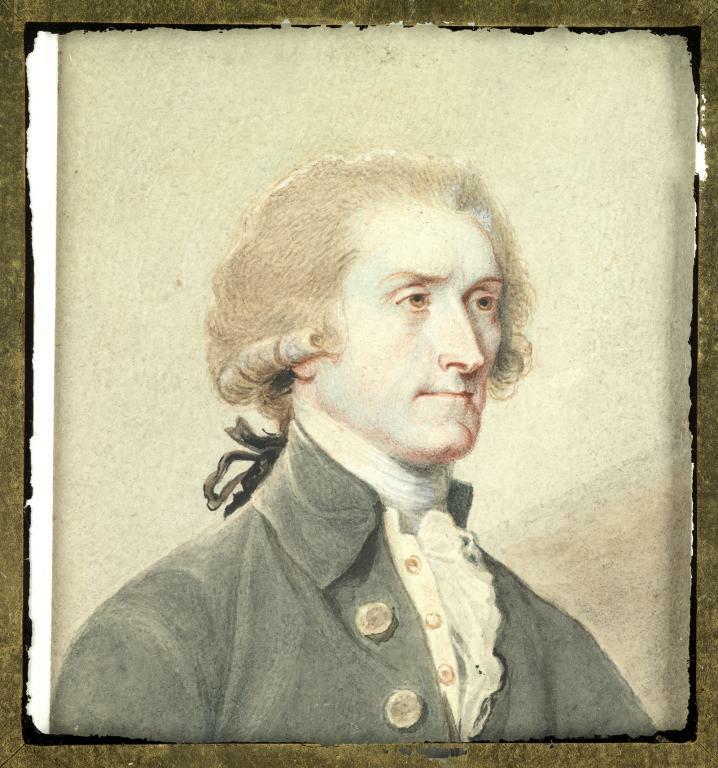 Even Jefferson, the strongest promoter among the Founders of universal white manhood suffrage — he included the provision for new states with the Northwest Ordinance — said something must be done to “silence the Democratick Babble.” Jefferson, though, would’ve preferred some minor tweaks to the Articles of Confederation rather than a new full-blown Constitution with a strong national government. Unfortunately for him, he wouldn’t be around to press his case since he was in Paris on diplomatic duty. Of course, it’s only fair to put Adams’ snobbishness toward commoners in perspective; he also thought the Father of the Country was unfit for public office: “That Washington is not a scholar is certain. That he is too illiterate, unlearned, unread for his station is equally beyond dispute.” Fearful of democracy, the Founders’ goal was to compromise with a republic, or representative democracy, whereby certain qualified individuals voted for politicians, who then made the decisions. Why? As George Washington put it, “for the same reason one cools down coffee by pouring it from a cup into a saucer.” We don’t often use saucers under our coffee cups anymore, but you get the point. The Founders, as we call them, were the rich and powerful. They included business leaders and planters working with lawyers to maintain a system in which they could thrive. Emboldening, reinforcing or inspiring working-class Americans wasn’t on their agenda, but neither was blatant class warfare of the sort common in many revolutions. In the North, at least, the U.S. provided avenues of upward mobility, whereas the southern economy relied on traditional slave exploitation by landowners. 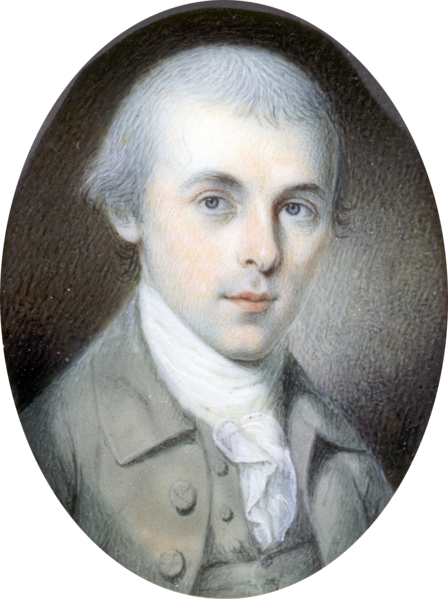 Unlike most of the men invited to the Philadelphia convention, James Madison studied all winter, including Greek, Roman, and British attempts at representative (or parliamentary) democracy and what the early American states had done with their own constitutions. You could also call the proposed American system a democratic republic. From Paris, Jefferson sent Madison two boxes of books on the history of republicanism. Madison read Montesquieu, a French philosopher who wrote favorably on Britain’s parliamentary system in The Spirit of the Laws (1748). Along with John Locke, Montesquieu promoted and established the basic principles of republican government. Yet even Montesquieu was skeptical about republicanism working in large areas with millions of people. The early U.S. numbered roughly three to four million dispersed over an area larger than any country in Europe except Russia. Native America also surrounded the Constitutional framers with small governments ranging from dictatorships to democracies. 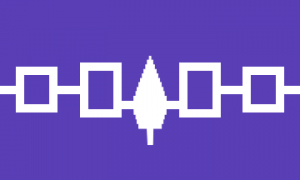 Historians agree that American Indians’ political organization, especially its relative lack of hierarchy, non-hereditary chain-of-command, and checks on centralized power, caught the attention of Montesquieu and other Enlightenment philosophes like Locke, Hume, and Rousseau infatuated with the “natural man.” The Haudenosaunee (Iroquois) Confederacy in what’s now upstate New York was the most clearly defined and familiar to the founders, and still operates today. In their multi-branch system, the role of clan mothers was similar to judges and the council chiefs/sachems of the Longhouse similar to Congress, with elaborate rituals approximating voting. Ben Franklin negotiated directly with Haudenosaunee Mohawks on Pennsylvania’s behalf and there’s a persistent argument that their League’s Great Law of Peace influenced the Articles of Confederation or Constitution. In 1740, Mohawk Chief Canassatego counseled Franklin to unite the colonies. Numerous colonists, including Roger Williams and Cadwallader Colden, Lt. Governor of New York Province, also commented favorably on Indian traditions of self-government and liberty. At the 1754 Albany Congress prior to the French & Indian War — the occasion for Franklin’s famous “Join or Die” cartoon and the first time representatives from the thirteen colonies ever met — Franklin named their body after the Haudenosaunee Grand Council, probably as a way to convey respect to the many Mohawk chiefs there in attendance whose alliance he hoped to secure for the upcoming war. The Grand Council grounded their theory of government in a fascinating way when they formed their confederacy in the 12th century CE. They not only sought strength through unity and peace, but they also hoped the respective chiefs of the Longhouse would compliment one another similar to their Three-Sisters (companion) farming combination of corns, beans, and squash (beans climb corn stalks, replenishing nitrogen that corn leeches, while winter squash displaces pests and weeds on the surface; the harvest provides a diet rich in complex carbohydrates, fatty acids, and amino acids). Historian and screenwriter C.K. Ballatore pointed out that Franklin admired the way the Haudenosaunee system was federated insofar as their Grand Council didn’t interfere much with local tribal matters. 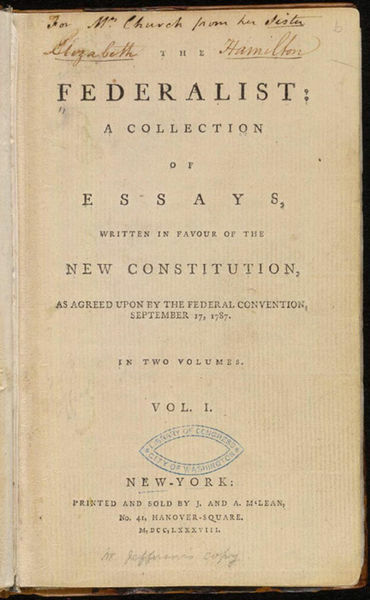 While John Adams compared the Articles of Confederation favorably to the Iroquoian model in 1787, on the eve of the Constitutional Convention, the fact that he took the time to study it and write an extensive survey shows he took it seriously. Historian Charles Mann wrote that “colonists were pervaded by Indian images of liberty,” and it’s probably no coincidence that when rebels expressed freedom in the Boston Tea Party and Whiskey Rebellion (next chapter), they dressed as Indians. While this intriguing theory of Indian influence (even sub-conscious) merits further investigation and is worth studying in its own right, there are, as yet, no primary sources demonstrating that framers based their Articles of Confederation or Constitution on the Iroquoian model. Despite Congress passing a resolution in 1988 affirming the Haudenosaunee contribution to democracy, few historians believe that Indians directly influenced the design of the U.S. government. Ballatore’s theory breaks down with her assertion that America’s founders had no other democratic model than that of the Haudenosaunee. After all, the founders’ final product wasn’t a radical departure from Great Britain’s parliamentary system or the American state constitutions. The same goes for theories on the influence of pirates or Freemasonry on the Constitution. It’s interesting that pirates employed voting, checks-and-balances, and a three-branch system with a court long before the U.S. Constitution (as argued by Peter Leeson), and the same is true of Masonic lodges. But, while the similarities of the Haudenosaunee Confederacy, and pirate and Masonic organizations is striking and they did precede America’s founding, it doesn’t follow that any of the three directly influenced the framing of the Constitution (of the three, Masonry would be the likeliest candidate since many founders were Masons). There’s a rule-of-thumb called Occam’s Razor which teaches that, among competing theories, the simplest is often, but not always, the best. In this case, the simplest explanation is that the founders studied the British and American state governments and, moreover, there is ample evidence that they did just that. Madison and John Adams wrote about what they did and why. The American state closest to the mixed-system model of republicanism Madison used for the national Constitution was Massachusetts. Although the colony had famously bristled under British rule (the Massacre, Tea Party, Bunker Hill), the proverbial apple hadn’t fallen far from the tree; the state’s new government was essentially a miniature version of Britain’s. They had a bicameral (two-house) legislature patterned on Parliament’s House of Lords and House of Commons, a court system, and a governor similar to an elected king. 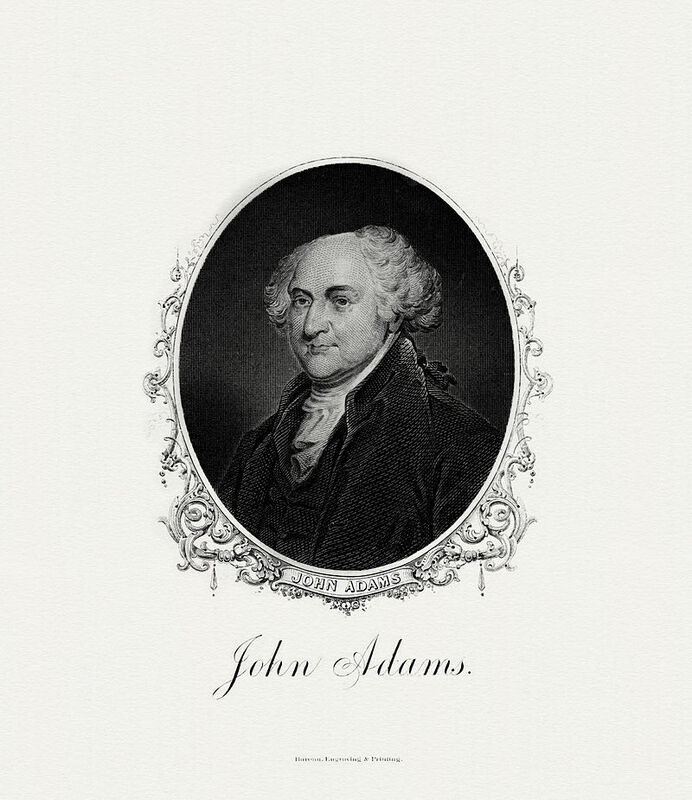 John Adams authored the influential Massachusetts Constitution in 1779 with help from Samuel Adams and James Bowdoin. In May 1787, Madison hit the ground running. At 5’3″ with a slender frame, one colleague described him as “no bigger than a half-bar of soap.” Yet, Madison had an outsized impact on the American Revolution and the country’s future. While the other 55 attendees (of the 80 invited) were still taking off their coats and saying their hellos, Madison was fast at work. He drafted America’s blueprint as they waited for the meeting to reach a quorum, or minimum number in attendance. With the quorum satisfied, Virginia’s Governor Edmund Randolph put Madison’s plan before the Convention forthwith. The Virginia Plan, so named for their home state, established Montesquieu’s three-branch framework on a national scale — the same one Massachusetts was already using at the state level. 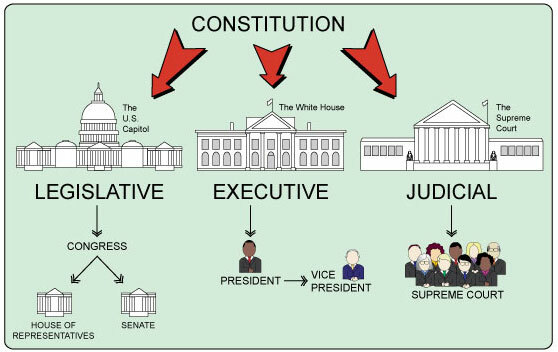 Within the national government were three branches – the executive (president), legislative (congress) and judicial (courts) – tied together by a system of checks and balances (vetoes, overrides, appointments, judicial review) whereby no one branch had ultimate authority over the other two. Congress made laws, but the president could veto laws, but Congress could override the veto with a bigger majority. Whereas in British parliament, the unelected House of Lords (the aristocracy) can “ping” legislation back to the elected House of Commons, which can “pong” it back to override their ping, legislation can originate in either chamber of America’s Congress (the Senate or House of Representatives) and congressional majorities of two-thirds in both houses can override a presidential veto if the president doesn’t sign legislation the first time passed with a simple majority vote. George Washington pressed for unlimited presidential veto power but lost out. The president assigned justices to the Court but Congress authorized the appointments and so on. This is good basic knowledge to review in your history and government classes, as today fewer than 33% of Americans can name the three branches, let alone explain how they relate to one another. Immigrants score much higher and, indeed, have to in order to become citizens. Native-born Americans, for instance, shout during election campaigns about potential presidents abolishing amendments without realizing that presidents can’t repeal Constitutional amendments. The Articles of Confederation weren’t revised; they were torn to pieces and thrown in the trash straight away. No one mentioned canal building, the other ostensible purpose of the 1787 meeting. Most opponents of a stronger national government, the Anti-Federalists, made the fatal mistake of boycotting the meeting (one notable exception was New York judge Robert Yates, who wrote newspaper editorials under the pseudonym “Brutus”). Their relative absence ceded initiative to the Federalists, so named not because they wanted to shift all the power to the national level, but because they wanted to confederate (or share) power by establishing a multi-tiered system of national, state, county, and city governments. Dividing Founders into Federalists and Anti-Federalists is an oversimplification since most were somewhere in between and many Anti-Federalists supported some type of national government — just one weaker than what emerged. Likewise, most Federalists weren’t in favor of an overbearing centralized national government, but they wanted a stronger one than existed under the Articles of Confederation. The competing terms just describe which way Founders leaned in the debate over the power of the upper tier of government. The word federal is often confused with meaning national government because today we speak of “Feds” like the FBI or IRS at the top level. But, technically, federal refers to shared power across the entire apparatus. The 2014 Encyclopedia Britannica defines federalism as “unit[ing] separate states or other polities within an overarching political system in such a way as to allow each to maintain its own fundamental political integrity.” In that way, Barney Fife, as deputy of fictional Mayberry, North Carolina on the Andy Griffith Show, was just as much a “Fed” as the Men in Black. 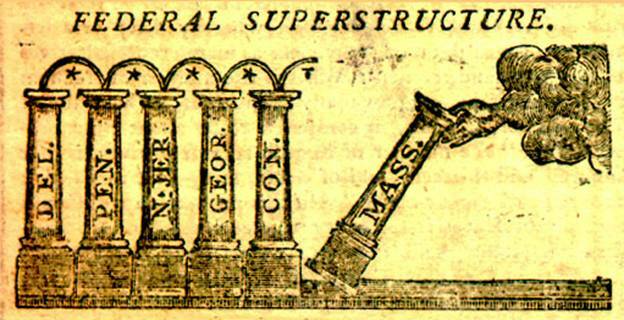 The shared federal system idea was already established under the Articles of Confederation, despite that government’s reputation for granting all power to the states. They still had a national tier grafted on top insofar as the states had formed a union and fought as a country. There was a Continental Army, Continental Congress and president of Congress. The Founders wrote the new Constitution to strengthen the upper tier. The Federalists, representatives of the establishment in the eyes of their critics, felt the Revolution had gone too far in the democratic, decentralized direction and wanted more law and order. Noticeably absent in the new Constitution they created are the words liberty, freedom or democracy. The general feeling was that Jefferson might have poured a little too much fuel on the fire with the Declaration. It was time for the Spirit of ’87 to check the Spirit of ’76. Their first agreement was to shutter Independence Hall — the same building in Philadelphia where that same Declaration was signed eleven years earlier — and agree that no one would talk to the press for the duration of their meeting. However, it was never their intention to ram the new government down Americans’ throats without citizens’ feedback. They just wanted to finish crafting the government in private, without too many people in their ears, and then turn it over to special conventions called in each state. Under terms the old Congress authorized, it would become the new law of the land if nine of the thirteen states agreed to it. In this way, they didn’t completely trash the Articles of Confederation, because they granted the old government the right to approve the transition toward a new government. Why not give it to the state legislatures directly instead of special conventions? Because the states had no motive to relinquish any power to a new national government when, under the Articles, they were pretty much in control. No one mentioned slavery until Benjamin Franklin introduced a Quaker petition calling for its abolition, that he’d signed as well. Southern states demanded that northern states figure out a way to deal with emancipated slaves, such as repatriation to Africa, but they’d prepared no such plans. Georgia and South Carolina threatened to stay out of the U.S. if slavery was abolished, just as they had with the Declaration of Independence. So it was not, and slavery’s legality is implicitly acknowledged at several points: the Fugitive Slave Clause (Article IV, Section 2) obligating Northerners to return runaway slaves (strengthened in 1793 and 1850), the ban on Atlantic slave trading after 1808, and the infamous 3/5th Compromise allowing Southern states to count 60% of their black populations when determining their number of representatives. Contrary to popular perception, the South wanted to count their slaves, not the North. That gave the South more senators, representatives, and votes in the Electoral College. The slaves themselves were not counted as 3/5th of a person; they were counted as 0/5th of a person in terms of their own rights and citizenship. Determining representation was, unsurprisingly, the most contentious issue of the convention. The states reached a compromise on representation. Small states wanted to continue the one-vote-per-state direct, or equal, method of representation used under the Articles of Confederation. Per Madison’s Virginia Plan, larger states (or small states that were growing) argued, logically enough, that their larger populations should get more votes. Why, today, should Wyoming have equal power with Texas, when Wyoming has only half the population of Travis County, Texas? Thus, one advantage of the bicameral legislature, with an upper Senate and lower House of Representatives, was that they could mix these two otherwise imperfect systems, with direct representation in the Senate and proportional representation in the House. The idea was known as the Great Compromise, or Connecticut Compromise because its author Roger Sherman hailed from that state. Today Texas and Wyoming have two senators each, but Texas has 36 representatives in the House to Wyoming’s one. The Electoral College also drew from this mix, with the total number of presidential votes (electors) from each state equaling that states’ combined number of Senators and Representatives (Article II, Section 1, Clause 2-3). Pennsylvania’s James Wilson wanted a straight popular vote but the leading framers opposed it. From the North, Alexander Hamilton opposed the popular presidential vote because of his general opposition to creating a democracy. In Federalist No. 68, Hamilton explained that, while “the sense of the people (voters) should operate in the choice,” electors would “most likely have the information and discernment” to make sure the candidate was qualified for higher office. Madison, meanwhile, argued that a popular vote would be unfair to the South because the North had more eligible voters since Southern slaves didn’t have the franchise. A popular vote for the presidency might have been impractical in the 1780s but could easily work today with quicker communications and no slavery factor. However, that’s proven impossible because it would require an amendment agreed upon by ¾ of the states. The smaller states would never agree to it because the current formula of figuring electors slightly favors small states. Adding senators to the total, which small states have as many of as big states (2), gives the small states a slight boost they would lose in a straight popular vote. Without the Electoral College, presidential candidates would skip the “flyover states” altogether and focus mainly on urban areas. Also, one party or the other is usually benefitting from the arrangement because it’s stronger in rural, less populous states. Today that’s the Republicans but it was Democrats a century ago. That party naturally doesn’t favor determining the president via popular vote. Currently, the Democrats endorse a Constitutional work-around plan called the National Popular Vote Interstate Compact — whereby state electors pledge to cast their votes with the national popular vote winner rather than their state’s popular vote winner — but red-leaning Republican states haven’t signed on and the plan wouldn’t kick in until enough states agreed to gain the necessary 270 electoral votes (currently, they’re only ~ 66% of the way toward that goal, see map on right). It’s unclear, anyway, whether such a compact would hold up in the Supreme Court. It’s a myth, though, that the popular vote doesn’t matter. Why? Because electors cast their ballots in favor of whoever won their state’s popular vote. Or, at least, usually they do. The Constitution doesn’t actually mandate that, but rather leaves it up to the states to decide in such a manner as the legislature thereof may direct and, today, 20 states, including Texas, have no official requirement that electors vote for the popular vote winner in their state, and only nine states nullify votes that contradict that states’ popular vote. That’s why the National Popular Vote Interstate Compact might be theoretically legal, even if electors went against their own state’s popular vote. Still, as of 2016, there have been only 167 “faithless electors” in our history, and they’ve never swung an election. 2016 was the worst year, though, with eight Democratic and two Republican electors refusing to vote for Trump or Clinton, respectively, instead casting votes for a variety of politicians and, in one case, Indian activist Faith Spotted Eagle. Two states today, Nebraska and Maine, vote proportionally based on their state’s popular vote, but it’s winner-take-all in the other 48. A candidate can’t win the electoral vote while losing the popular vote decisively but can when losing narrowly. Five times in American history the winner of the popular vote has lost the election: 1824 (Andrew Jackson), 1876 (Samuel Tilden), 1888 (Grover Cleveland), 2000 (Al Gore, Jr.), and 2016 (Hillary Clinton). Given all these disagreements and compromises and the uncertainty of the future, it was wise to include a provision to tweak the Constitution. The amendment system, borrowed from Pennsylvania’s state constitution, gave the government the ability to change and adapt to new circumstances without scrapping it and starting over. Two-thirds of either Congress (both houses) or the states can propose an amendment and ¾ of the states (either legislatures or special conventions) are required to ratify the amendment. Without this feature, the Constitution would no longer be around. The U.S. is not the oldest country, but their written constitution is the oldest among major countries and amendments are partly why. One of the reasons we think of James Madison as the main Constitutional architect is that his journal is one of the few direct primary sources. But we know from piecing together letters written years later by conventioneers, including Anti-Federalists, that Madison shortchanged South Carolinian Charles Pinckney in his account. He mentioned that Pinckney brought a plan with him to Philadelphia but didn’t elaborate on the details. Pinckney’s role is controversial, and Madison and others vehemently downplayed it, but most historians think that he and Pennsylvania’s James Wilson were more responsible than anyone in shaping the presidency. Historians found Pinckney’s Plan in Wilson’s papers. When Wilson proposed having an individual run the executive branch, Randolph of Virginia accused him of inserting into the Constitution the “foetus [fetus] of monarchy.” Keep in mind, though, as we learned in Chapter 8, that many colonists had been upset with King George III not for being too strong, but rather for being too weak in protecting them from Parliament. The long-winded, 30-year-old Pinckney, a Revolutionary War veteran and POW, argued for using Roman terms like president and senate, for establishing a procedure to get rid of unlawful presidents via impeachment and trial, and for requiring the executive to deliver periodic State-of-the-Union updates to Congress. Pinckney also pushed through the Fugitive Slave Clause (not expunged until the 13th Amendment abolished slavery) and a line in Article 6 that exempted public figures from any religious test — a radical departure for the time that distinguished the U.S. from European countries. Unlike the Declaration of Independence, the Constitution didn’t claim to derive its justification from a higher power. There wasn’t always going to be a standing national army during peacetime and state officers would have influence over the army when it was called, but a national army could be called to protect America’s borders and frontier. States could train and lead militias, but, crucially, only those called by and overseen by U.S. Congress (Article 1, Section 8). Militias contributed a lot to the victory over the British, especially in the South, and Pinckney’s proposal to allow for any national army (even conditionally) naturally impacted the contentious issue of states’ rights versus national power. Many scholars argue that the wording of the Second Amendment — A well regulated Militia, being necessary to the security of a free State, the right of the people to keep and bear Arms, shall not be infringed — concerns the question of how much power state militias would retain. After all, the amendment mentions a regulated militia explicitly and bear arms had a military meaning in the 18th century. One kept arms to go hunting, protect his family’s cabin, or take target practice on empty snuff cans. A survey of newspapers from 1776-1791 showed that bear arms had a military context 98% of the time. But Justice Antonin Scalia disagreed with this etymology in District of Columbia v. Heller (2008), arguing that bear just meant to carry weapons and stressed the “right of the people” portion of the amendment over the “well-regulated militia.” Students considering gun rights for their argumentative essay (in-class) or discussion board (distance learning) should analyze Scalia’s majority opinion in Heller, as this case and McDonald v. City of Chicago (2010) solidified Americans’ right to own a weapon for self-protection while also allowing for governmental regulation. 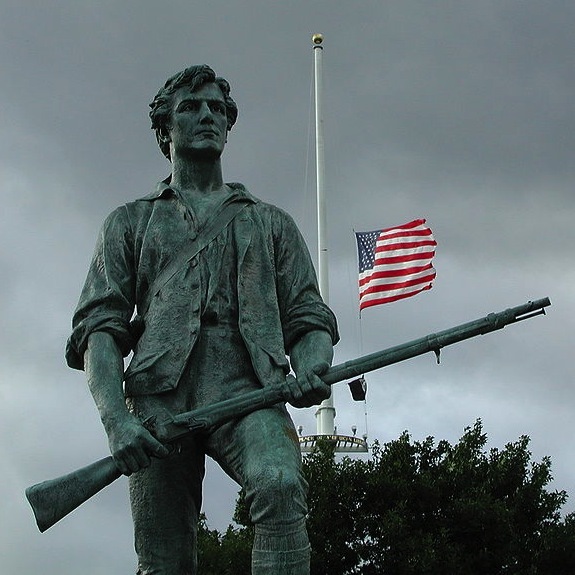 The truth is that neither today’s gun enthusiasts nor gun control advocates would be too comfortable in Revolutionary America. Historian Saul Cornell argues that the framers wouldn’t have grasped either side of today’s gun debate, with its dichotomy of individual rights versus collective security. Their concept of collective security would’ve focused on an individual’s obligation to serve in government militia — almost more similar to jury duty than freedoms of speech, religion or the press. States needed militias to protect themselves against the national government, most controversially, but also the British or other invaders. Every male head-of-household was expected to own a firearm and serve in the militia, but not on behalf of any anti-government libertarianism — far from it. State government officials could knock on citizens’ doors at any time to inspect their weapon and make sure it was in clean working order and to maintain strict registration. It’s safe to say that most gun libertarians today wouldn’t appreciate that government control any more than liberals would like the mandate to serve in the militia. The idea wasn’t to embrace anarchy, but rather strike a balance between anarchy and tyranny by retaining power at the state level vis-à-vis the national government. There is no perfect analogy, but the best rough analogy of these militias would be today’s taxpayer-funded state guards, not quite as much the national guard (U.S. Militia) and not private, paramilitary citizen militias. Lt. 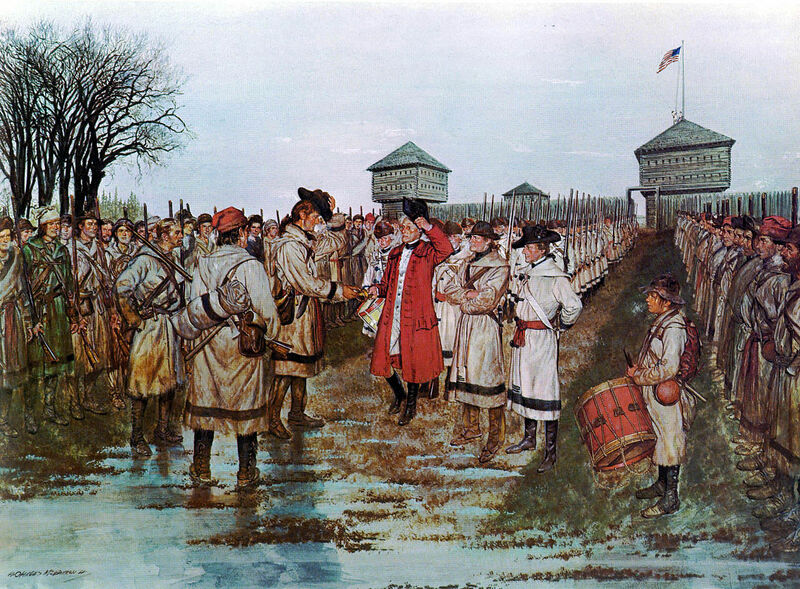 Governor Henry Hamilton Surrenders to Colonel George Rogers Clark Outside Fort Vincennes (Sackville) Indiana, February 25, 1779, U.S. Army, Don Troiani. G.R. Clark Led Virginia & Kentucky Militias In Northwest During Revolutionary War. As for individual rights to self-protection, hunting or collecting in Revolutionary America, they were mostly beside the point since no one in colonial America had outlawed guns other than some travel bans and local laws against keeping firearms loaded because the black powder was corrosive and, in rarer cases, they would go off accidentally during fires. But a “man’s home was his castle” that he was free to protect and, either way, the matter was between gun owners and their colonial then state governments. I say mostly beside the point, because the assumption that the government wouldn’t infringe on individual gun rights applied just to white Patriots. State governments banned firearms for slaves and free Blacks and they disarmed Loyalists in the North during the Revolution. Enthusiasts cite quotes from three key Virginians as evidence that the Founders favored lenient gun rights: Richard Henry Lee, most famous for his motion to declare independence from Britain in the Second Continental Congress, James Madison, who drafted the Second Amendment, and Thomas Jefferson. In Letters From the Federal Farmer (1788), Lee wrote that “to preserve liberty, it is essential that the whole body of people possess arms, and be taught alike, especially when young, how to use them” (actually no one knows for sure who wrote this letter, but it’s commonly attributed to Lee). This is a genuine quote but, in the fuller context of the letter, the author was talking about the relative power of state militias versus the national military. A second source of quotations is from Madison’s Federalist Papers No. 46, however, the main point of No. 46 is to assure readers that no national army will ever have more soldiers than a combination of state militias. The Lee and Madison quotes demonstrate the relevance of militias to the Second Amendment and their misuse constitutes a textbook example of how misleading it can be to take quotes out of context. As for Jefferson, he is purported to have said, “The strongest reason for the people to retain the right to keep and bear arms is, as a last resort, to protect themselves against tyranny in government.” This quotation and variations on it are bogus. While many people might need for him to have said it or wish he did, scholars can’t find any evidence that he actually did. (The research staff at Monticello maintains a long list of Spurious Jefferson Quotes.) Jefferson did write that “no free man shall be debarred the use of arms” within his own lands or tenements in his draft for the Virginia state constitution of 1776, but it didn’t make it into the final version. For Cornell, if the framers hadn’t considered militia duty an obligation, they wouldn’t have bothered exempting religious groups like Quakers from gun rights in state constitutions (e.g. Pennsylvania’s 1790 Constitution), similar to exempting conscientious objectors from drafts later on. Madison even included a conscientious-objector clause in his early drafts for the Second Amendment, so that “no person religiously scrupulous of bearing arms, shall be compelled to render military service in person.” This owning-a-gun-as-an-obligation-to-serve-in-the-militia-theory, as opposed to owning as an individual right, is in line with medieval English history, exemplified by Richard II with his 1181 Assize of Arms, but not necessarily the 17th-century English history that early Americans were familiar with. Governments throughout the English Civil War era used militias to enforce their respective regimes and limited membership to people of the proper rank, religion, and political persuasion. For historian Joyce Lee Malcolm, the 1689 Bill of Rights’ reinstatement of gun rights for Protestants was designed to protect people from being disarmed by armies serving whichever central government was currently in power; the 1689 proclamation also banned standing armies in peacetime. In England, for Malcolm, “militias” played a role similar to what Americans feared a standing national army would in the early United States. Malcolm thinks that to the extent English history informed early Americans, the Second Amendment protected state militias against a national standing army and protected individual owners. In America, arguments over individual gun rights played out first at the state level with the advent of affordable, mass-produced handguns in the early 19th century. Remember that, prior to the Fourteenth Amendment in 1868, the Bill of Rights wasn’t yet incorporated into the original 13 state constitutions, so the police power of gun regulation fell to states under the Tenth Amendment. However, the Second Amendment came into play because new western states were supposed to align their constitutions with the national constitution, or at least not contradict it. Kentucky passed the first American law against carrying a concealed weapon in 1813 and the state court reversed the law in Bliss v. Commonwealth (1822), saying that it violated their state constitution. After the Civil War and passage of the Fourteenth Amendment, Northern judges downplayed the states’ rights/militia meaning of the Second Amendment to minimize the potential power of southern vigilante groups like the KKK or potential remnants of Confederate armies, reorienting the emphasis toward individual rights. Southern states weren’t too keen on playing up the individual rights aspect of the Second Amendment, anyway, because that would’ve allowed Freedman (Blacks) to own firearms. The Supreme Court shot that right down in U.S. v. Cruikshank (1876) during post-Civil War Reconstruction after a white mob overthrew the democratically-elected Republicans of Colfax, Louisiana, arguing that the Second Amendment did not extend to the Blacks protecting the Republicans. It really wasn’t until McDonald v. City of Chicago (2010) that the Second Amendment was fully incorporated at the state level for all citizens. Like Heller, McDonald dealt with rare municipal bans on handguns as opposed to mere regulation. The reason Chicago and D.C. had passed the draconian handgun bans overturned in these cases is that a wide spectrum of white and black voters wanted to keep guns out of inner cities. The National Rifle Association (NRA) endows professorships and supports the individual ownership emphasis through legal scholars like Stephen Halbrook, Don Kates, Akhil Reed Amar, Sanford Levinson, and Laurence Tribe, Barack Obama’s old law professor at Harvard. This sponsored scholarship has paid off in the halls of justice. The Supreme Court disagrees with Saul Cornell’s militia interpretation of the Second Amendment (2013 debate), with Scalia endorsing Malcolm’s opinion that the meaning extended to individual rights and footnoting her work on the English Bill of Rights directly in the Heller majority opinion. What’s brilliant if misleading about the NRA’s spin is that they’ve managed to downplay the militia aspect of the Second Amendment while simultaneously incorporating the Founders’ language from letters that actually concerned militias if you read the whole passage. Similar to their cherry-picking of Richard Henry Lee and James Madison, they’ve distorted the words of George Mason by plucking passages out of fuller contexts and stringing them together with the imaginative use of ellipses (…), turning Mason into a sounding board for arming citizens against their own government (Bunk). Despite no evidence today that the government is poised to invade or conquer Americans — after all, the U.S. military, including its state and national guards, already controls and defends the U.S. — the NRA promotes assault rifles as a way for citizens to raise arms “against a tyrannical government run amok.” For obvious reasons, the Constitution made it treasonous for citizens to wage war against the national government (Article 3, Section 3). Saul Cornell argues that Heller and McDonald put the debate in a reasonable spot because they affirm individual rights to ownership so strongly that they undercut “slippery slope” arguments that any regulation at all will lead to overturning the Second Amendment — which, in any case, would require ¾ of states and is not something a president can do. The key to analyzing the amendment’s original intent is context: the titanic constitutional struggle over state vs. national power in an era of domestic uprisings like Shay’s Rebellion and external threats (Indians, British, Spanish, etc.). Other items in the Bill of Rights besides gun rights are similarly contentious, each with histories in their own right. We won’t touch on all of them but we’ll discuss how the Bill of Rights came about during the Constitution’s ratification process. Nine of the thirteen states ratified (authorized) the Constitution originally signed in September 1787 by 39 of the remaining 42 framers. Thirteen of the original 55 conventioneers gave up and went home and 25 of the 80 invitees never showed, some of them because they didn’t want to miss out on their state legislative sessions. Two important and large states, New York and Virginia, were not among the signers and Federalists resolved to get those two on board even though they had the requisite nine already. 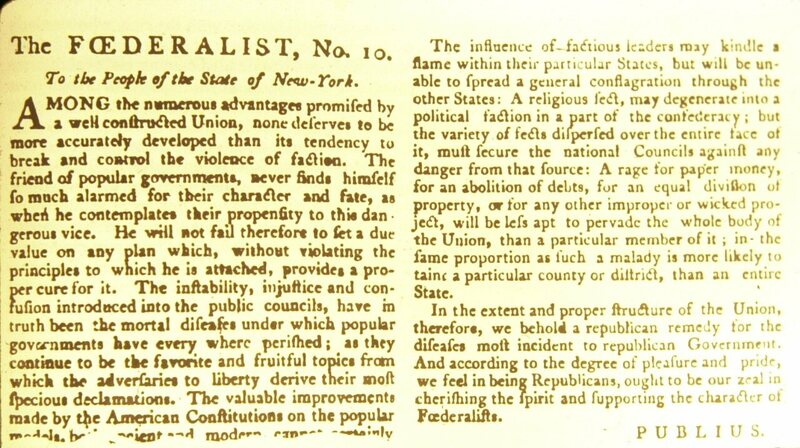 In New York, this campaign took the form of a series of anonymous newspaper editorials, customary at the time, written by Madison, Alexander Hamilton, and John Jay. Scholars compiled and published the editorials collectively as the Federalist Papers in 1961. If historians have overestimated their role at the time in the ratification process, they are still the clearest exposition of American Constitutional theory and required reading in law school and upper-level government courses. They are biased in favor of ratification, as you might expect, with reasonable claims that states weren’t paying their fair share to the Confederation Congress under the Articles, and “Publius” falsely insinuating that anti-Federalists wanted to break up the United States. But they also contain important kernels of political insight. In the section above on the Second Amendment, for instance, we saw Madison assuring readers of Federalist No. 46 that state militias would still outnumber the national military (also signed “Publius”). Elsewhere, responding to criticism that such a large diverse area could never get along well enough to be ruled under a single republic, Madison turned the argument on its head. He argued in Federalist No. 10 and No. 51 that factions would cancel each other out, preventing any one faction from prevailing over the rest. They could check one another in a republic in which minority interests are protected from a majority better than they could in a pure democracy. The idea has important ramifications today regarding political lobbies. We often complain about the increasing number of lobbyists in Washington, D.C. that influence legislation. Yet, if lobbies there must be — and it’s impossible to keep money out of politics — then one could make a Madisonian argument that “the more the better” — that way they’ll hopefully balance each other out. Madison also contrasted republicanism (or representative democracy) from pure democracy in the Federalist Papers, pointing out that the system is not based on pure majority rule, but rather a system whereby minorities are protected from majority rule. Madison wasn’t speaking of racial minorities in this context, but later the Constitution provided such protection based on that very principle. One key mechanism for protecting minorities at the time was what came to be known as the Bill of Rights, the first ten amendments to the Constitution. Ratification in the state conventions was controversial because they either had to “take this or nothing” in the words of Virginian George Mason. In other words, it would’ve been too complicated to allow arguments over revisions at that point, so they had to either approve or reject it as it was. Just as Mason’s Virginia Declaration of Rights (Section 1-3) influenced Jefferson’s Declaration of Independence, so too, Section 4-16 was so influential on James Madison’s first ten amendments to the Constitution that some historians call Mason the “Father of the Bill of Rights.” In both cases, the similarities are so remarkable that one could argue Mason rough-drafted both the Declaration of Independence and Bill of Rights. James Madison (initially skeptical about adding any such provisions) wanted to implement these “additional guards of liberty” in the text of the Constitution, but Congress decided instead to add them as amendments. 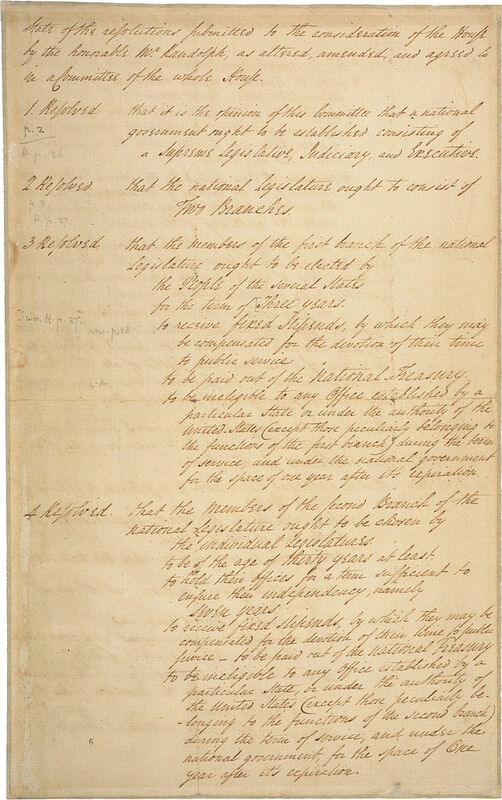 They whittled down Madison’s original seventeen ideas to twelve, of which ten actually passed as amendments in 1791. At the time, people were most concerned that national Congress would not have the power to tax unless states failed to pay what they owed; the text of the Constitution granted Congress the important power to levy taxes in Article I, Sections 8-9. Such an amendment wasn’t included and in 1913 the 16th Amendment did the opposite, allowing for a national income tax. 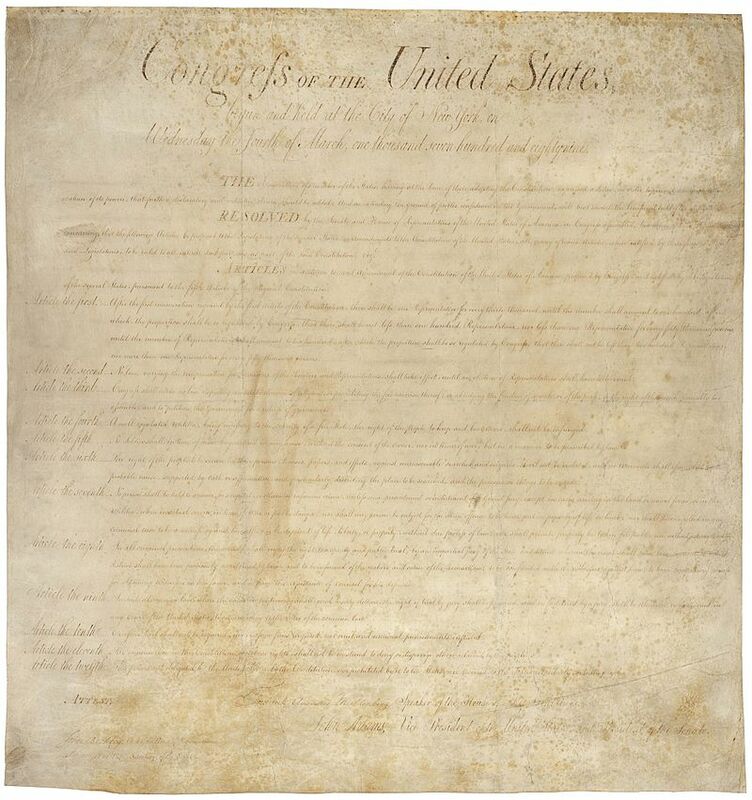 Some critics feared those amendments that were added didn’t amount to more than a “pinch of snuff.” Later, this “snuff” became known as the Bill of Rights, though it took awhile for that term to catch on. It’s interesting that they didn’t garner much attention in the country’s early history because, for many Americans now, the Bill of Rights is the most important part of the Constitution and are what people mean when they talk about their “Constitutional rights.” The right to bear arms in the Second Amendment, for instance, is part of the Bill of Rights. At the time, prior to the Fourteenth Amendment, the Bill of Rights applied only against the national government, not the states. The big story then was the strengthening of the national government, not the limitations put on it. The Pennsylvania Gazette wrote: “The year 1776 is celebrated for a revolution in favor of Liberty. The year 1787, it is expected, will be celebrated with equal joy, for a revolution in favor of Government” (9/5/1787). The amendments now known as the Bill of Rights weren’t added until a few years after the Convention and, contrary to popular notion, Anti-Federalists didn’t demand them outright as a price for ratification (North Carolina signed twelfth in 1789, and Rhode Island held out until 1790). Why did Madison oppose listing the “additional guards of liberty” at first? He argued that listing rights might imply a lack of protection from the government for things that weren’t listed and that wasn’t how the Constitution was intended to be read. This is an important distinction and makes sense if you take a moment to consider it. Alexander Hamilton argued the same in Federalist No. 84, asking “Why declare that things shall not be done which there is no power to do?” To take guns as an example: why protect the right to own a gun when the text of the Constitution doesn’t give the national government the right to regulate guns in the first place? If the national government can only do what’s expressly enumerated in the text, there is no need to add any further guarantees and, moreover, doing so implies that the government can do what’s not prohibited in the special list of prohibitions. Thomas Jefferson and others with anti-Federalist leanings didn’t buy this reasoning. Jefferson implored Madison to add such guarantees anyway against government overreach just to be safe, channeling his inner architect to argue that “a brace can often keep up a building that would otherwise have fallen.” (Jefferson to Madison, 3.15.1789) Madison consulted Jefferson throughout the process of amendment-writing, corresponding across the Atlantic since Jefferson was serving as Minister to France. The two were especially concerned with religious freedom. Their home state had completely separated church and state — the first government in Western civilization to do so. The 1786 Virginia Statute for Religious Freedom, co-written by Jefferson and Madison, laid the foundation for the First Amendment right to religious freedom at the national level. The Virginia Statute forbade any discrimination against anyone on religious grounds, including Jews, Hindus or Muslims (Jefferson Autobiography, Library of Congress). This wasn’t just a concern for Deist Enlightenment heretics. Virginia Baptists, outnumbered by Anglicans and Presbyterians, wanted a strong statement of religious freedom written into the Constitution before they’d support their state agreeing to it; and Presbyterians wanted to check the power of Virginia’s colonial Anglican rulers (now Episcopalians). With apologies for belaboring the point (already mentioned above and in Chapters 4 and 7), in the early U.S. restrictions like the First Amendment applied initially only to the national, not state, governments, and several of the original 13 states established religious denominations and excluded Jews, Catholics, Deists, and Atheists from voting or holding public office. However, only the original thirteen states could get away with that. Again, new western states had to write their constitutions in accordance with the Bill of Rights. No states, old or new, could abridge the Bill of Rights after 1868 when the Fourteenth Amendment incorporated them at the state level (at least 1 and 4-9). Of course, voters are free to consider religion all they want when voting for candidates. A recent Gallup Poll shows that 40% of Americans would not vote for an Atheist president. In addition to protecting religious freedom and the right to bear arms, the Bill of Rights support citizens’ freedom of speech (and expression) and guarantee their right to petition the government and to fair and speedy trials. They ensure citizens (at least prior to the Patriot Act of 2001) against unwarranted search and seizure or cruel and unusual punishment. These are usually understood as protections against the government. However, what the Bill of Rights is really doing is protecting, by extension, minorities from the majority of voters. A majority of 51% of voters couldn’t outlaw free speech, for instance, or ban hunting rifles or declare Christianity the official religion. This is an important but easy to overlook distinction that underscores the difference between a pure democracy and a representative democracy, or republic, like the United States. One need look no further than recent Egyptian and Iraqi history to see what happens when a democratic constitution fails to protect minority rights. Having won the Egyptian presidency (Mohamed Morsi) and control of parliament through democratic means, the Muslim Brotherhood wrote a constitution in accordance with Sharia Law that discriminated against Christians, liberals, and women. Feeling betrayed by their fellow revolutionaries, non-Muslims rose up and backed a military coup to overthrow the democracy when President Morsi refused to reform or agree to fresh elections. In that case, a dictatorship ironically offered better prospects for individual freedom than a pure democracy. Iraq is an even more prominent example. When the U.S. stabilized the country during the 2007 Surge, General David Petraeus allied the new Shi’a leadership with moderate Sunnis, whom he bought off. But after the U.S. left (and even before), Shi’a president Nouri al-Maliki severed the alliance and began persecuting and disenfranchising Sunnis, sending them into the arms of the militants who joined ISIS forces from the Syrian civil war. Maliki understood democracy, but not the subtler republicanism that protects minorities from the majority, and George W. Bush and Barack Obama failed to impress the distinction on him. All three could’ve profited from reading Madison’s Federalist Papers. The U.S. didn’t understand that Saddam Hussein’s Sunni minority was ruling over a Shi’a majority, so unleashing that majority would result in Sunni persecution and increased (Shi’a) Iranian control over the region. Without an inclusive government that protected the minority from the majority, Iraq descended back into chaos. A third example is the United States itself, which formally and legally discriminated against its minority populations for most of its history until it beefed up the Bill of Rights with stronger interpretations of the Fourteenth Amendment from the mid-1960s to the present. In style, if not in content, the American Bill of Rights is based loosely on the English version, written a century earlier, in 1689. The English Bill of Rights was written in the context of Parliament gaining power at the expense of the Crown. They diminish regal authority by forbidding the king from making laws and levying taxes without Parliament’s consent. That portion of the English Bill of Rights is more similar to the main body of the U.S. Constitution, that separates congressional and executive power. 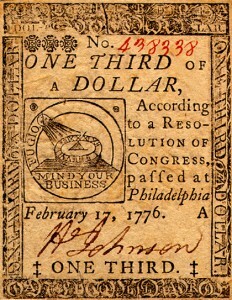 More similar to the American Bill of Rights, the English version guarantees freedom of speech and debate within Parliament, outlaws excessive bails and cruel and unusual punishment for criminal suspects, and grants the right to bear arms for Protestants (until the 20th century, the U.S. version was interpreted as allowing guns for Whites but not Blacks). The Bill of Rights is the most famous portions of the Constitution because they deal explicitly with the rights of citizens on whose behalf the document was theoretically written in the first place. The Constitution opens with We the People…. As mentioned, when people declare their rights are being violated, they are more often than not referring to the Bill of Rights rather than the main body of the Constitution, or a state law. The text of the Constitution, though, lays out how the national government operates and its relation to the states. With the new government in place, it would take generations of leaders to hammer out the kinks and argue over the Constitution’s interpretation. That ongoing process continues as a healthy and necessary, if often aggravating, feature of American democracy. What politicians discovered early on, during the new government’s first decade, was that even the framers who signed the document didn’t agree as to what exactly they were signing. If they’d held themselves to that standard, they never would’ve gotten out of Philadelphia in four months. But they also intended some elasticity or room to adapt. There was no easily agreed-upon original intent even then, let alone today. Just how powerful would this new central government be in relation to the states in a shared system? As we’ll see in the next chapter, that question was vexing enough that the young nation teetered on the edge of civil war in the 1790s, coming closer to breaking apart than at any time in its history prior to the 1860s.